Gender. Male citizen of Pakistan. Candidate must be a Citizens of Pakistan and domicile holders of Azad Kashmir / Gilgit-Baltistan. Minimum 60% marks required in FSC to appear in Pakistan Army Test. 55% marks required in FSC for the specified areas with domicile of Baluchistan, FATA, Gilgit Baltistan, District Neelum Azad Kashmir and District Kohistan. Candidates can apply through internet or by visiting nearest recruitment center. 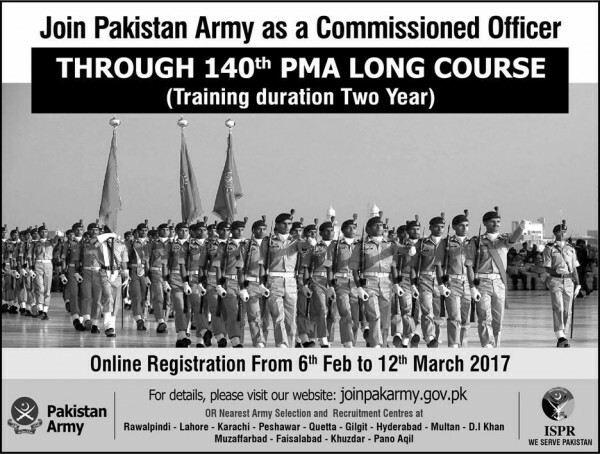 To apply for Pakistan Army 140 Long course online Click here. We appreciate your interest in using pakprep.com. Please ask your brother to check from GHQ or Frontier Crop Head Office because he need NOC to apply for that post so he will het detailed information from his own office. We appreciate your interest in using pakprep.com. 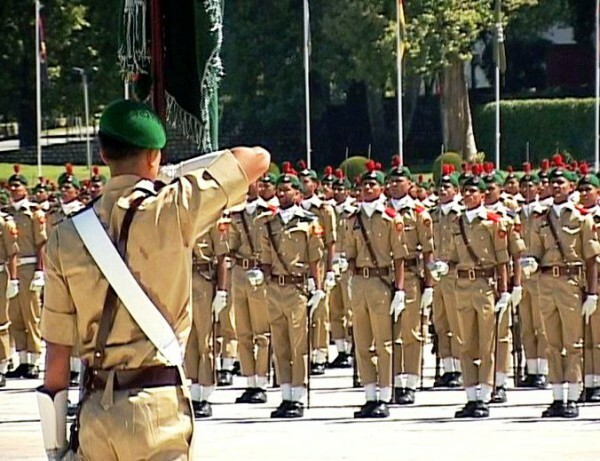 Pakistan Army is not inducting females as cadet. However you can apply for Army medical college through NUMS. Please follow the bellow mentioned links for your preparation. For more details you can call us at 0335-5833265. Dear Admin Iam weak at english can I pass PMA test? We appreciate your interest in using pakprep.com. Yes you can pass your test if your practice it. Please follow the bellow mentioned link. For more details you can call us at 0335-5833265. Sir I have applied for long course but i want to know how to prepare for initial test. We appreciate your interest in using pakprep.com. For your preparation of Army Initial test, please follow the bellow mentioned link. For more details you can call us at 0335-5833265. We appreciate your interest in using pakprep.com. 141 PMA long course is expected to announced in September. Please ask your question in detail so that we can help you in better way. Dear admin,I have just registered myself for 140 PMA L/C and i don’t know how can i prepare myself for the test….. And i also want to apply for 90 aeuronitical engineering but i have not applied for this because i did not know about the registration date which had passed ……so kindly tell me about the best way which i should have to do…..also i am doing fsc pre-engineering…. We appreciate your interest in using pakprep.com. login to http://www.pakprep.com for your preparation of Army test. You will find 15,000+ fully explained MCQ’s. Dear Admin! I am a student of commerce and I want to join PMA. So can u tell me plz. What type of Initial test for a commerce stud. We appreciate your interest in using pakprep.com. Army Initial test will consist of intelligence MCQ’s and some general knowledge, English and Islamic studies MCQ’s. Please follow the bellow mentioned links for your preparation. For more details you can call us at 0335-5833265. We appreciate your interest in using pakprep.com. If you once appeared in test and you didn’t pass it so you are not allowed to sit in test again for this course. However you can prepare your self for next course . Please follow the bellow mentioned links for your preparation. For more details you can call us at 0335-5833265. We appreciate your interest in using pakprep.com. Your PMA Initial test will consist of Intelligence and general knowledge MCQ’s. Please follow the bellow mentioned links for your preparation. For more details you can call us at 0335-5833265. Salam Sir .I want the past paper of PMA. We appreciate your interest in using pakprep.com. There is no past papers for PMA test because if you want to join army you have to go through different test not papers. Please login to http://www.pakprep.com for the preparation of verbal and non verbal mcqs of Pakistan Army test. for more details you can call us at 0335-5833265. We appreciate your interest in using pakprep.com. For army minimum 60% marks required. Salam Sir i want to know what are the next ecpected dates for PMA long Course in 2017 ?? We appreciate your interest in using pakprep.com. PMA next course is expected in September/ October. Please follow the bellow mentioned links for your preparation. For more details you can call us at 0335-5833265. We appreciate your interest in using pakprep.com. Yes you can apply for initial course which is expected in September/ October. Please follow the bellow mentioned link for your preparation. For more details you can call our helpline at 0335-5833265. We appreciate your interest in using pakprep.com. Girl can only join army after completing MBBS/ BDS and one year house job. However you can study in Army Medical College through NUMS. Please follow the bellow mentioned links for your preparation. For more details you can call us at 0335-5833265. We appreciate your interest in using pakprep.com. Yes you can apply for PMA long scourse. Please follow the bellow mentioned links for your preparation. For more details you can call us at 0335-5833265. We appreciate your interest in using pakprep.com. For your preparation of army initial test please follow the bellow mentioned link. For more details you can call us at 0335-5833265. We appreciate your interest in using pakprep.com. Medical Cadet course is only for male student. You can apply for AMC through NUMS entry test. Please follow the bellow mentioned link for your preparation. For more details you can call us at 0335-5833265. I want to know the next expected date of PMA Long Course in 2017. We appreciate your interest using pakprep.com. PMA long course is expected in September. Please follow the bellow mentioned links for your preparation. Can I have some academics Questions for the preparation of initial test of long course ….? We appreciate your interest using pakprep.com. Your test will consist of Physics, English, and Intelligence MCQ’s. Please follow the bellow mentioned link for your preparation. We have all the relevant material for the preparation of PAF test. We appreciate your interest in using pakprep.com. Minimum 60% marks are required for PMA long course. They will not accept your application. We appreciate your interest in using pakprep.com. To appear in Pakistan Army initial test minimum 60% marks are required. Sir I am student of BBA 6th semester and my age is 23 so can i apply for this course and if i can so what is the GP requirement and can i comtinue my studies if i selected for this course. I am a 1st year (ics) student, how can i apply as early as possible??? We appreciate your interest in using pakprep.com. 139/140/141 these are the tittles of long course. You can apply online as well as by visiting nearest Army center you can apply. I am doing bs biotechnology and bioinformatics can i apply for lady cadet course? Which one is goog pma long course 141 or 142??? 142 PMA L/C registration is started nowadays.